You can choose the time frame that best suits your needs from the options of 30 minutes or one, two, four or eight hours. During this time, notifications will be muted on all your devices. Other people will see your presence indicator change to a moon and a status line next to your name letting them know when they can expect you to be responsive again. Use our Help Center to find out more about snoozing notifications. 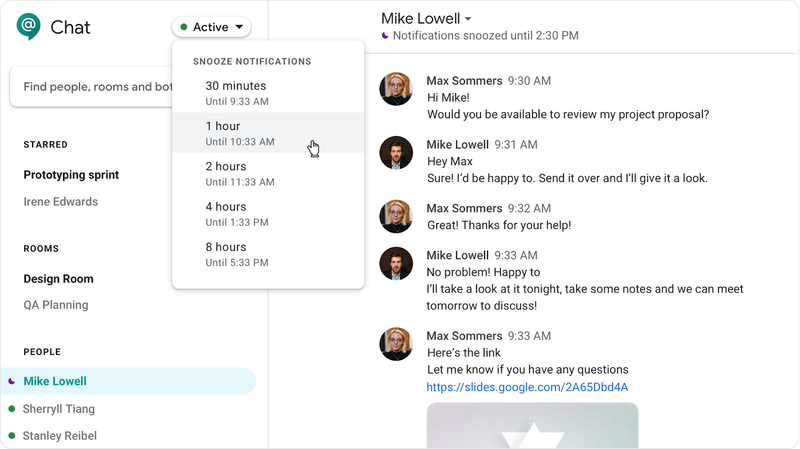 Hangouts Chat makes it easy to collaborate efficiently, but it’s important that you can disconnect without interruptions from Chat messages. 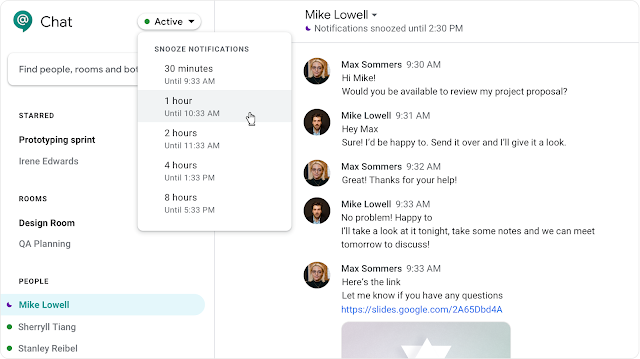 You can now snooze notifications, allowing other users to know that you are checking messages on your own time.